A resort within a resort. This spectacular gated estate is one of a kind. 1.2 acres of manicured grounds with meandering golf cart paths lead you around the three levels of gardens, entertainment areas, nursery and spectacular pool, spa and waterfall features that are impressive to say the least. The home is constructed of the highest quality finishes and materials. The entire home has incredible views of Manele Bay, Sweet Heart Rock and the Jack Nicklaus golf course. The main living space is surrounded with pocket sliding Glass walls to enjoy indoor outdoor living at it finest on the 2000 square foot covered lanai. The lower level family room is spacious and has a wonderful sauna, full granite walled steam room and half bath. The BBQ, entertainment, pool and spa area is terraced down two levels of the property with an impressive trellised structure supporting the Photo Voltaic panels. The entire property along with lighting, security, pool and indoor outdoor music systems can be managed by your I-pad or smart phone. This is a rare chance to own a fee simple estate on this very special secluded Island. Island Club membership is available to all resort homeowners. 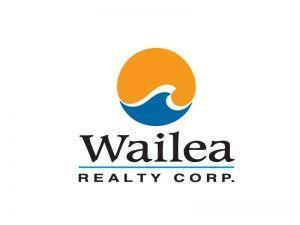 I am interested in 450 Hulopoe Dr, Lanai City, HI 96763 (Listing ID # 381225).